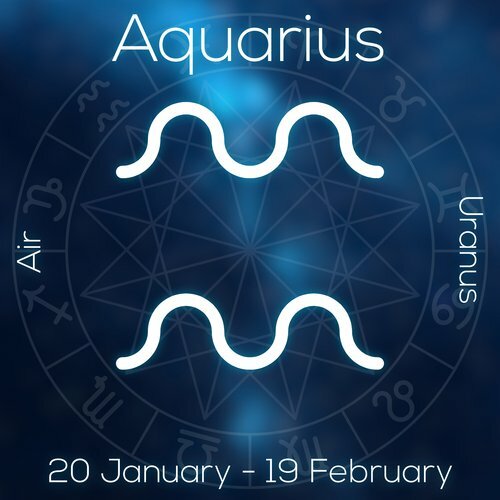 AQUARIUS is an air sign, humanitarian, freedom loving, higher technology, loner, electric, unusual, erratic, instigator, new age, musical, artistic, detached, selfish, innovative, progressive, pouring life’s vitality to the earth (not water), timid, sympathetic, liberated, extremist, friendly, unconventional, global investor. MUNDANE Aquarius, you can be one of the most selfish of the signs. You’ll give if you have your best interests secured first. You’re comfortable being alone, unsure of how to be close or intimate. Often, you’ll act out aggressively and childishly when you don’t get your way. Your genius and intensity (aka anarchy) drive you to addiction. You’ll say, “I’m sorry,” then repeat the same behavior. Please ponder the bigger picture and how you can affect and effect tremendous change without having to control everything in your environment. Your motivation starts out for the masses, but turns to your immediate gratification. That’s a choice. Ponder this along with your next solution. ESOTERIC Aquarius, you’ll stop anytime, anywhere to fix anyone’s flat tire… even in a blizzard, because you have everyone’s best interests at heart. Your mind works in all sorts of ways, inventing all sorts of unique ways to travel to unchartered horizons. This gives you fascinating life experiences. You’ll explore territory no one else will; with the exception of maybe an Aries or a Sagittarius! 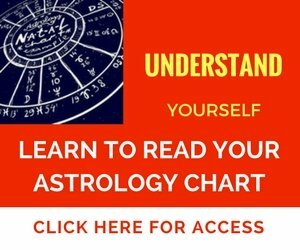 Your unique understanding of the way the Universe works inspires you to invent sounds, images, truths for others to ponder. Alas, you want to have a family, but sometimes fear it will hinder your freedom. Intimacy (IN TO ME YOU SEE) doesn’t come easily for you. Although, you care more easily for the masses, your biggest challenge is to find freedom in one, loving relationship. Kids love how outrageous and eccentric you are. Especially in your artistic and musical creations. When you trust yourself more, and feel worthy, you’ll know how to utilize a money-making venture to feed the world. Just don’t starve yourself in the process! Uranus (you’re on us) represents radical thoughts, eccentric behavior, higher technology, uncommon solutions, non-conformity, humanitarian aims, music, higher frequencies to heal vibrationally. You carry an unusual, classy and magnetic aura. You automatically vibrate the frequency of metaphysical, scientific, and eclectic energy. You love to know and figure out how things work, then pass along your findings to serve the needs of humanity (or your local community). But while you’re invested in learning, you might behave in aloof ways, like a nutty professor, working on solutions until all hours with intensity. If your friends or family are stuck in traditional, negative thinking, you’ll propose a radical or ‘forward thinking’ solution. Before you even come to this earth, you seek out unusual or wacky, comical, advanced-thinking parents to have expansive experiences. You also need close ties to afford you your eccentricities and causes. The early years are crucial for your development in intimacy. Many times you’ll seek mom’s attention to guide you toward that intimacy and compassion, and to feel praise for your odd or unique observations. The irony is that even though you bring change to the planet through a specific, unusual artistic, political or athletic view or action…you, yourself loathe changes that you can’t see coming for you. You’ve got a stubborn streak (that resists change) and cannot be persuaded! You’re equally sensitive and overcommit to being with or helping others, sometimes at your own expense. Take breaks from the world and from technology or you could blow a fuse! Remember that you’re not alone in your feelings and you’ll be able to navigate transitions more easily if you stand back, take a breath, and always look at the bigger picture. When you allow yourself to have close ties, to be your unique self without apology, you can make money as an entertainer, artist, musician, political leader, inventor, spiritual or religious trailblazer, athlete, or you can use your quick wit to develop high-tech international businesses. You’ve got a driving need to use money and resources to feed the world (nutritionally or emotionally), help small animals, and give women an idea of unique sense of self, identity, and style. What’s your life without a good mystery, electronic gadget, television/radio/film, ancient mysticism, or political goal? It’s key to allow yourself to have a committed, deeper connection to a cause (if not a person), to feel productive, needed, and recognized. Once you feel needed, and witness how your talents positively affect the world, you’ll have a much easier time of finding intimacy. Aquarius sensitive areas: calves, shins, ankles, parathyroid gland. It would soothe you and simultaneously energize you to be near water, play in the mud, swim, take up cross country running, jump on a trampoline, or give small dinner parties with a variety of foods and diverse guests. Hiking, climbing, Pilates, stretching, Zumba, and dancing will help your legs to stay energized, limber, and strong. My greatest humanitarian act of love is allowing intimacy to foster my freedom, prosperity, and uniqueness. Notable Aquarian Rising Signs—Bill Moyers, Whoopi Goldberg, Pierre Renoir, Michael J. Fox, Jay Leno, Karl Marx, Ralph Nader, Charles Atlas, Sri Baba, Matt Damon, Yves Saint Laurent, Tammy Wynette, Martin Sheen, Wayne Gretzky, and Eliah Edelson. She’s now a teen with silver and violet hair, is a whiz at digital art media and cartooning, plays the ukulele, has an eclectic group of friends, loves to travel, collects succulent plants and wants to discover an unknown species, and is committed to raising awareness for Gay/Straight Alliances. Yep. Aquarius Rising sign… that’s about right. You saw mom as a victim or ineffectual, someone who couldn’t stand up for herself. Mom might have had many ailments, was on too many medications that numbed her feelings, or was detached in her affections. As a result, you translated love as an act of obligation, something to perhaps work at. Not being comfortable feeling deep feelings for too long, you’d rather transfer your emotional state into financial needs. Essentially, using the emotional state to drive yourself to feel worthy regarding money: making it, spending it, investing it, seeing a return on it. It almost becomes a science to you as you look and research the correct ways to be in order to maintain an intimate connection. In some cases, you don’t feel worthy or affection, money, or praise OR that there’s not enough of everything to go around. Eventually, it would help you to recognize your emotions are part of your psychological make up and by feeling them, can help you feel more secure. You’re definitely dedicated your time, energy, and resources to a larger family or cause, springing into action for those less fortunate. The irony is that your early family life probably didn’t feel like a traditional, loving family. Dissension between your parents, along with your father’s angry, defiant, or militaristic ways stopped you from expressing your emotions. You’ll most likely have many unusual jobs or careers in a variety of fields: medicine, advertising, odd jobs, entertainment, political reform, until you find your specific way to serve humanity. While you’re exploring the world, it might stop you from actually acquiring funds in a consistent, reliable manner. And this feeds your unconscious notion that there’s not enough of everything to go around. Once you can get in touch with more uncomfortable feelings of anger, oppression, defiance, and fear that have kept you alienated from your own family, you can integrate your need for ‘giving’ with allowing yourself to have. From there you’ll have massive abundance to invest in your freedom and future and the freedom of others. True intimacy… IN TO ME YOU SEE… develops as you embrace your own feelings, then neutralize and release negative emotions.